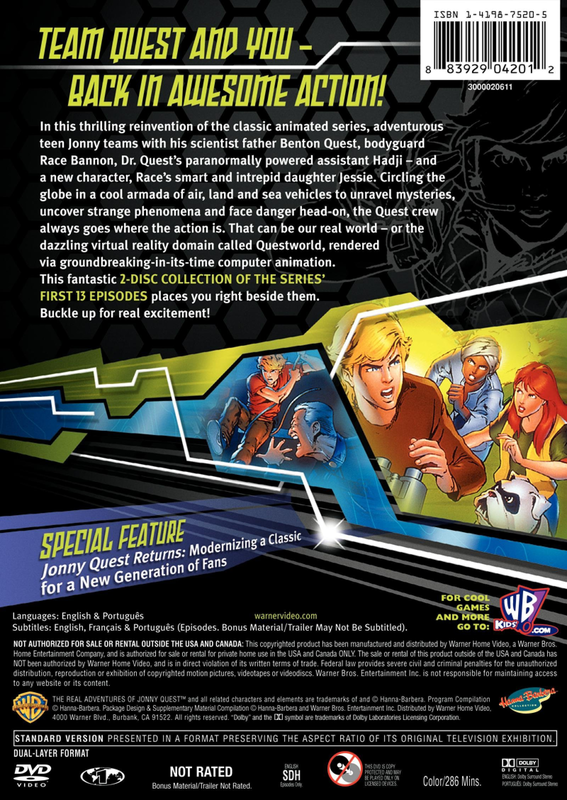 Dr. Benton Quest is Jonny Quest's father and a leading phenomenologist and brilliant scientist. Recognized for his genius at a young age (universities offered bribes to his parents for his enrollment at age 16), Benton excelled at all areas of science, and even participated on archaeological digs—one of which allowed him to meet Alice Starseer. He later married Rachel Wildey, daughter of Doug Wildey, and came to work for the government. Rachel bore a son, Jonny, but was killed by an adversarial, undisclosed event some years later. The government assigned bodyguard Race Bannon to protect him, and Dr. Quest later adopted Hadji Singh. By the time of Real Adventures, he retired from government work and ran the very successful Quest Enterprises, offering his paid expertise as a phenomenologist to all ethical buyers from his base at the Quest Compound. Quest Enterprises sponsored its own line of credit cards, which Dr. Quest used (Return of the Anasazi). Dr Quest is somewhat cerebral -- driven by his desire to know more about everything and, particularly, more about the inexplicable worldwide phenomena which he investigates. Gripped by that desire, he will ignore all distractions and dangers -- not because he is especially brave but because his drive to learn blanks out more basic instincts like self-preservation. Hadji - "Follow knowledge like a sinking star beyond the utmost bound of human thought." Dr. Quest - "To strive, to seek, to find, and not to yield." Dr. Quest - "How ya doin', Jonny?" Jonny - "We made good time. We may even make the island before sunset even though the port's way over on the other side." Dr. Quest - "You know, your watch ended over an hour ago. Hadji and Race can take over if you're tired." Jonny - "Are you kidding? I wouldn't give this up for anything! I'm living a dream, dad!" Dr. Quest - "Hard to imagine a sea monster powerful enough to sink a ship." Jonny - "If you ask me, those whalers got what they deserved. Anyone who'd kill a whale is no better than a murderer. I don't care who or what got that boat; I'm glad." Dr. Quest - "If a scientist let his feelings get in the way of his work, Jonny, science would never advance." Hadji - "Some lead with the heart, and others with the mind. Greater progress, however, comes with the unity of both." Race Bannon - "Nice night for a sail. Man, I wish I were a kid again, Benton." Dr. Quest - "I thought you were, Race. I hadn't realized you'd ever grown up." Race Bannon - "Thanks a lot." Dr. Quest - "Above all people, Pradad, you know that phenomenology is a little more than simple adventure." Dr. Quest - "Of course! When one acknowledges the existence of beings with superior intellects and technology, one also acknowledges one's own inferiority." 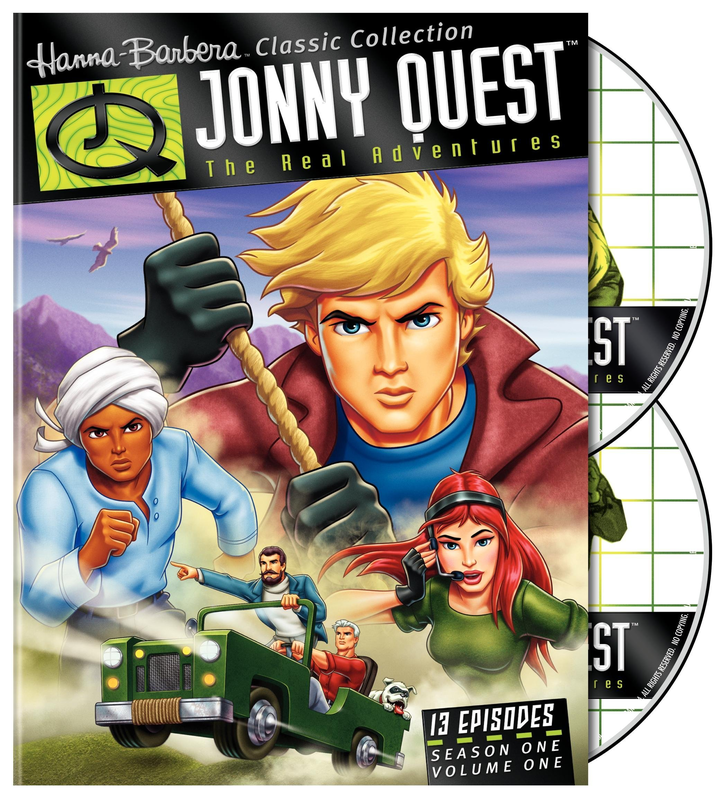 Dr. Quest / Hadji / Jonny - "'No heroics!'" Dr. Quest - "I've become that predictable." Dr. Quest - "That had to be the stupidest thing I've ever seen you do." Jonny - "But dad, I—"
Dr. Quest - "Then again, it was probably the bravest thing I've seen anyone do." Dr. Quest - "We came here hoping to find a monster, and instead found a sapient culture more evolved in many ways than ours." Dr. Quest - "Could you two suspend the formalities while we see if we can neutralize this device and maybe save the world?" Dr. Quest - "As I tried to explain, you can't judge all humans by the actions of a misguided few." Dr. Quest - "Zin is not going to destroy half the world using MY technology!" Dr. Quest - "Need any help?" Jonny - "Nah. Race taught me all this when we were trout-fishing in Montana." Dr. Quest - "I should have known." Jonny - "Need any help?" Dr. Quest - "No, Race taught me all about this when we were salmon-fishing in Alaska." Dr. Quest - "Well, that wasn't very friendly, gentlemen." Dr. Quest - "Sorry, Fido, but I can't stay to play fetch!" Dr. Quest - "Steer clear of any other dimensions, okay son?" Surd - "Sorry, doctor, but it's time to settle this the old-fashioned way. Primitive, but effective." Dr. Quest - "Primitive suits us just fine!" Dr. Quest - "Now, it's just you and me." Surd - "As it should be." Dr. Quest - "You've endangered my family countless times. And it ends now!!" Dr. Quest's Message - "Hello, Jonny. If you're watching this it means either I'm dead or some terrible calamity has allowed me to cause access to this program. When your mother passed away, I wasn't sure I could go on. I became obsessed with the hope that I could see her one more time—talk to her once more. I labored for months to create a time portal using Questworld technology. I was just about to transport myself back in time when I realized not only could I see your mother again, but I could save her—I could stop her from dying. I had the power to change the past. I sealed the program away and never used it. I could not change history for personal gain, but if my time travel program can be used for a greater good, then it will be justified. Ask Iris for information. Good luck, son." Dr. Zin - "This isn't over." Dr. Quest - "Oh, yes it is! Your schemes, your attacks! You've threatened my family for the last time!" Dr. Quest - "Come on, Zin! We knew one day it would come to this! Let's finish it now!" Dr. Zin - "I could not agree more!" This page was last modified on 2 December 2009, at 21:01.